In the technological age that we live in, access to a fetal doppler (aka baby heartbeat monitor) is simple. You can order one like this and receive it within a day or two. But, should you? Listen to the experts and what we really think about listening to your baby’s heartbeat at home. One of the greatest things EVER about pregnancy is listening to your baby’s heartbeat. That first time, especially, makes everything seem suddenly real. Over the weeks, you may get addicted to those few minutes during your prenatal appointments when your doctor pulls out the fetal doppler and listens to that soft dubdub dubdub dubdub. At that moment you are reassured that everything is okay with your baby. This fetal doppler is a handheld ultrasound transducer that utilizes soundwaves to measure wavelenths and transmit them back as sound… a simulation of your baby’s heartbeat. Some dopplers also produce a fetal heart rate display while others must be counted by the user. Fetal dopplers are an essential tool in the hands of your health care providers to assess the current status of your baby. SHARE THE INFO-- CLICK TO PIN! Pregnancy is full of worries, and the overarching one is always, “Is my baby okay in there?” Having immediate access to your baby’s heartbeat can calm many a fear. I can certainly see the draw to have such a device within arm’s reach. But what happens in that scenario when you DON’T hear your baby’s heartbeat? There can be many benign reasons for this. Your baby’s position makes finding the heartbeat difficult. The monitor is picking up other sounds, such as YOUR heartbeat through the placenta. You are too early in your pregnancy to consistently hear the heartbeat with an external device. Even as trained professionals, it sometimes takes time to locate and measure your baby’s heartbeat. NOT hearing it can cause you unneeded anxiety– and maybe a trip to the ER or doctor’s office– even when everything else seems normal to you. In untrained hands, a fetal doppler can be misinterpreted. As stated above, other sounds can be heard through it, including your own heartbeat. Recently, a grief-stricken mom shared her story, imploring people not to rely on the information they are getting from home heart monitors. She trusted it, even when her gut told her that something was wrong. Even as a labor nurse and a transport nurse, I can’t just trust the information I receive from a fetal doppler. Case in point. I picked up a patient from a small ER who had elevated blood pressures. They had no way to continuously trace the baby’s heartbeat, so I had to rely on my portable ultrasound and fetal doppler to check the baby’s status. The heart rate was within the normal range, and I flew with her to the receiving hospital. Once we got there and she was attached to the continuous fetal monitors, it was soon obvious that the baby was distressed and was delivered by emergency c/section. I’m not sharing these stories to scare you. The thing I want you to know is that the heart rate is only one piece of the puzzle in fetal monitoring. How that heart rate looks from beat to beat, how it responds to contractions, and other factors all work together to give your doctor information about your baby’s health. A fetal doppler only gives a snapshot. We need the whole movie. 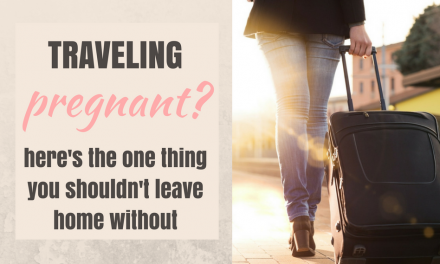 Moms know that only they truly experience all of the feelings of pregnancy– both the good and the bad. Many times, their partners only begin that same bond after the baby is delivered. A home heart monitor can draw in the rest of the family, allowing dad and siblings some of that same bond before the baby arrives. It ups the real factor. As a bonus, some models even allow you to record the sound of your baby’s heartbeat, so far away friends and family can share the joy. Oh, wait– can you even imagine having a teddy bear with a recordable music box inside and the baby’s heartbeat on it?!? My ovaries just did a flip. I think I need to be pregnant again to do this one thing. What are the official standpoints? Fetal ultrasound imaging provides real-time images of the fetus. Doppler fetal ultrasound heartbeat monitors are hand-held ultrasound devices that let you listen to the heartbeat of the fetus. Both are prescription devices designed to be used by trained health care professionals. 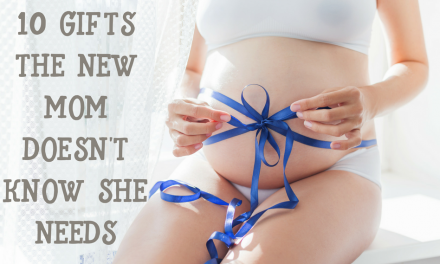 They are not intended for over-the-counter (OTC) sale or use, and the FDA strongly discourages their use for creating fetal keepsake images and videos. Ultrasonography and magnetic resonance imaging are not associated with risk and are the imaging techniques of choice for the pregnant patient, but they should be used prudently and only when use is expected to answer a relevant clinical question or otherwise provide medical benefit to the patient. *Note: this statement specifically addresses imaging; however, dopplers fall under the umbrella of ultrasound technology. The Association of Women’s Health, Obstetric and Neonatal Nurses (AWHONN) asserts that the availability of registered nurses (RNs) and other health care professionals who are skilled in fetal heart monitoring (FHM) techniques, including auscultation and electronic fetal monitoring (EFM), is essential to maternal and fetal well-being during antepartum care, labor, and birth. Fetal heart monitoring requires advanced assessment and clinical judgment skills and should not be delegated to unlicensed assistive personnel or others who do not possess the appropriate licensure, education, and skills validation. The conglomerated takeaway I get from these statements is that ultrasound technology is not meant for entertainment purposes. It is to be utilized in a safe fashion by trained professionals for an intended clinical purpose. Dr. H: Well, it depends on what the goal is. If the goal is to reduce anxiety in pregnancy, I feel that a doppler could cause as much anxiety as alleviate it. Sometimes it’s hard to find the heartbeat, especially in a women with excess weight, and if she is too early in pregnancy. Cheaper models also don’t transmit the heartbeat well, and make it hard to evaluate. An untrained person may not be able to distinguish between hearing maternal heartbeat and the fetal heartbeat. Years ago, there were at home monitors– sort of like a Holter monitor for cardiac patients– to monitor for preterm labor. If a woman started contracting, she would put the monitors on and it would transmit to a facility who would contact the doctor. Eventually it was discontinued because studies showed that it wasn’t effective in preventing preterm labor. The best way for a pregnant woman to evaluate her baby’s health is feeling movement. Overall, I feel that the type of person who buys a fetal monitor to alleviate anxiety in pregnancy is the same type of person who would also be overly anxious after using it. Dr. C: I wouldn’t say that I encourage home fetal dopplers, but if someone chooses to get one, I don’t make any negative comments. The couples that acquire them usually find comfort in the ability to hear the baby on their own. So I think it’s more for decreasing anxiety than anything else. In the rare case it has increased anxiety due to not being to hear the heart rate at home (improper use). but overall that hasn’t been a problem. Dr. S: I have had patients come in and say, “I can’t hear the heartbeat!” And I say, “Let me see that. How much did you pay for it?” And they’ll respond, “$50.” And I say, “Well, I paid $1,000 for mine.” So, in a sense, you get what you pay for. It’s kind of a Pandora’s Box, too. Someone may start listening for the heartbeat at 6 weeks and come to me in a panic because they can’t hear it one day. Then at 17 weeks, the same thing. 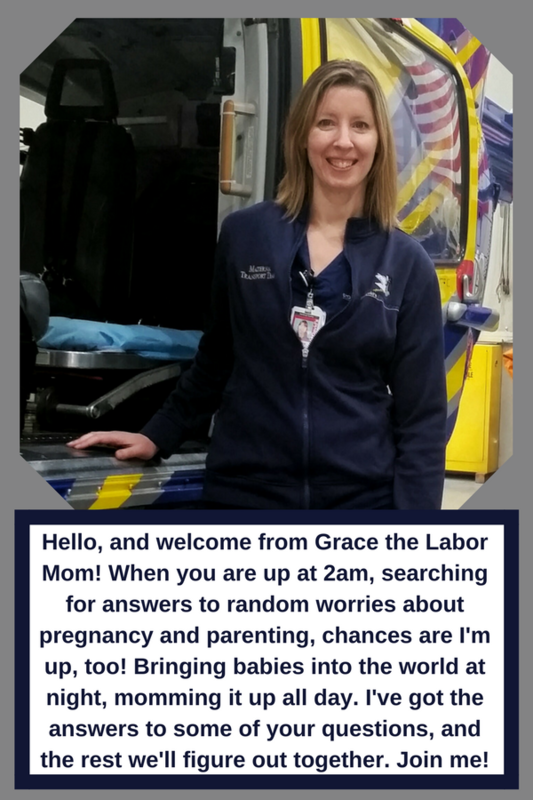 As you well know, even on a term baby, sometimes it takes a while for us as medical professionals to find the right location to listen to the heartbeat. So, I certainly wouldn’t discourage someone from using one in pregnancy– if it’s legal and safe, who am I to say they can’t do it? But I always throw out the disclaimer that it won’t be the best tool for determining the health of their pregnancy. 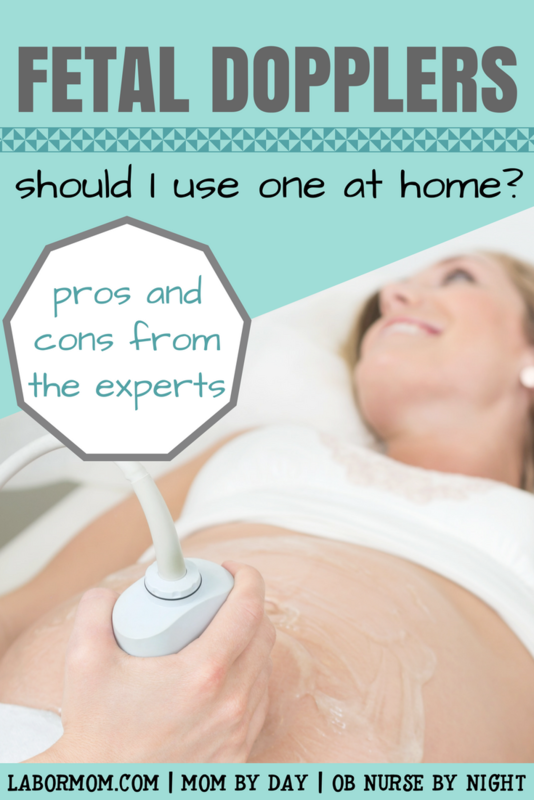 Dr. M: I don’t recommend home dopplers because I think they produce more anxiety than benefit. Sometimes it can be hard to find the heartbeat, sometimes it can read mom’s heartbeat, and sometimes it can lead to perceived abnormalities like a heart rate that’s too fast or slow. 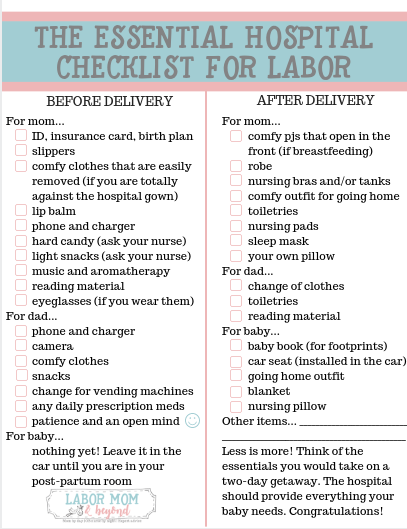 All of these will lead a mom to seek care (an ER visit, often) when otherwise everything with baby feels fine. An untrained ear will also not likely know how to interpret if it doesn’t sound fine, so it can lead to false reassurance when you should be seen by someone trained to interpret fetal heart rate data. Also, dopplers use ultrasound waves which do heat tissues slightly. 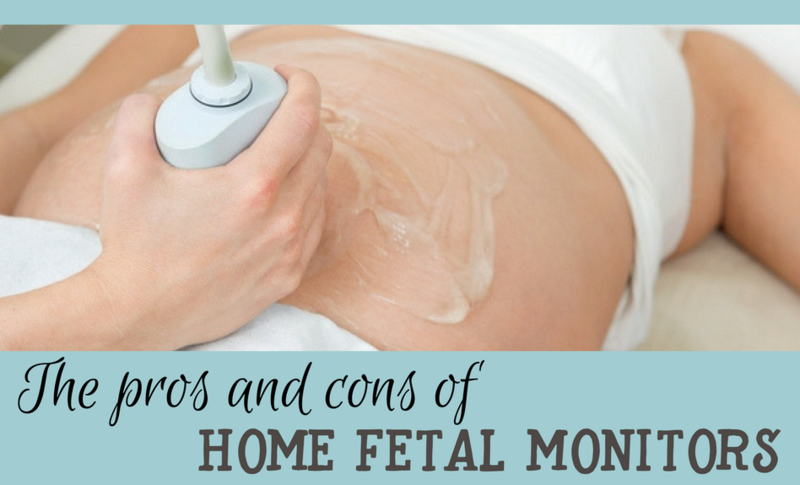 We recommend that evaluations such as ultrasounds (and by extension home dopplers) not be used for recreational purposes and only when necessary in pregnancy. I’ll be perfectly honest here– I was surprised by what I found when researching and writing this article. Throughout my career in L&D, I’ve typically discouraged the use of at-home fetal monitors. My personal opinion has been that they probably cause more problems than solutions, and I do worry about the lack of evidence concerning frequent exposure to ultrasound waves. Talking to the doctors I know and work with made me realize that using a fetal doppler at home may not be that big of a deal. Across the board, they assert that it should not be relied on for a diagnostic tool, but for occasional entertainment or anti-anxiety use, it’s probably fine. They do differ in opinion about the safety of these devices. Truth be told, no one really knows for certain the safety of extended ultrasound use. The official positions agree: using a fetal doppler to ascertain the health of your baby needs to be left to trained professionals. There is too much margin for error for it to be relied on. There are concerns, ambiguous as they may seem, and I hope this article helps you make an informed decision. If you really want one and promise not to use it 24/7 (and I would recommend NOT AT ALL in the first 12 weeks of pregnancy for the safety of your baby’s developing organs), it’s probably an okay gadget to buy. But that’s all it is… a gadget. 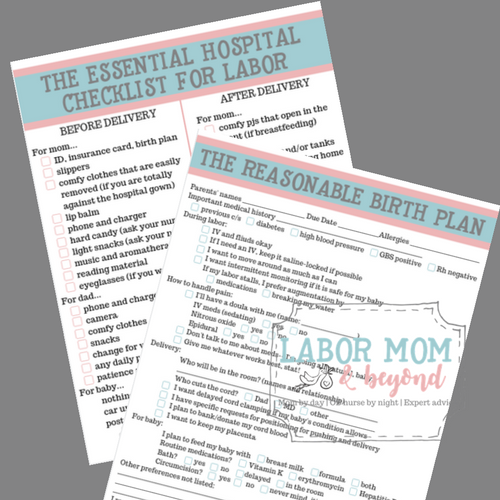 Don’t rely on it as your only method to determine your baby’s health. Fetal movement matters. Regular prenatal appointments matter. Eating healthy and staying hydrated matter. Reducing sugar intake and following your doctor’s instructions matter. Stay healthy and let that pregnancy glow shine! I appreciate the honest opinions from the doctors here, and especially your statement: “Truth be told, no one really knows for certain the safety of extended ultrasound use.” I work at a pregnancy resource center (I’m the director, not a nurse), and what I’ve learned about ultrasounds over the last few years has been pretty surprising to me as well. In the national training we attended a few years ago, it was pointed out that the sound waves pointed at the baby’s tiny heart are high intensity waves and although there’s been no indication that it DOES cause damage, we really don’t know what it COULD do with extended use. That alone should make expectant moms pause before buying one of these devices. Great information here!